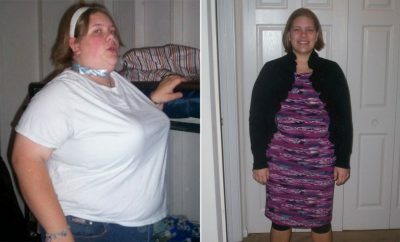 How I Gained It: Looking back, I was always heavy. I was chubby all throughout childhood — in fact, I was a size 13 by the time I was 10 years old. Despite my size, people always told me I had a pretty face, so I loved performing. Growing up, I danced and took violin, piano and voice lessons. I didn’t realize that my size mattered. As I approached my teen years and started to audition, I began to see that I was too big to land the parts I wanted. At 19 years old, I auditioned for the national tour of Grease. I ended up getting the part of the fat chick, Jan, and I was so embarrassed that I starved my way down to a size four by the time the rehearsals started. But it didn’t last — I was a perpetual yo-yo dieter. In 1983, I met my husband of 26 years. He was a recording engineer, and because of him, I started to sing in a studio where no one could see my body. 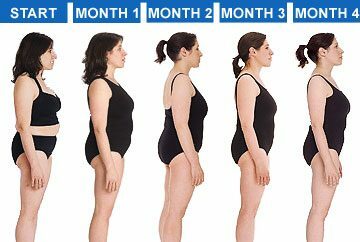 My weight gradually increased, and by the age of 37, after having three children, I weighed 215 pounds. Breaking Point: My breaking point came at my middle son’s birthday party. I sat on a chair and almost broke it — it was mortifying. At the time, I also wanted to get back into live performances, and those two things were enough to motivate me. How I Lost It: In the late ’90s — I was writing music for the dance music scene inNew York City. I desperately wanted to perform onstage, but I was too heavy so I knew I needed to do something. I began walking to the beats I wrote as I developed my lyrics (all of which were motivated by my weight loss efforts) and watching my food portions. 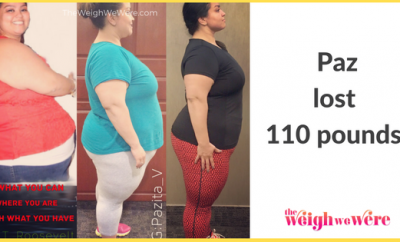 It was difficult, but within a year, I lost 100 pounds. I began performing my songs in theNew Yorkclub scene, and over time, the fitness community became aware of my beats and lyrics, so I began writing music for fitness classes. I now have an online catalog of thousands of workout songs, and I’ve won awards for my workout podcasts. As for my weight loss secrets? Portion control has always been my main focus. I don’t believe in dieting or cutting out food, but I do believe in watching how much of it you eat. Dieting doesn’t work, and if you don’t diet, you can’t cheat or fall off the wagon, so there’s no guilt factor. I also don’t believe in setting unreasonable goals — you set yourself up to fail that way. You need to take eating well one minute at a time, and if you fall off the wagon, just start again the next minute. When I eat that slice of pizza, I make up for it by choosing something healthy at the next meal, such as fruit, veggies or lean protein. As a musician, music has also been a big part of my success. Music can get your heart going, and it can motivate your soul. 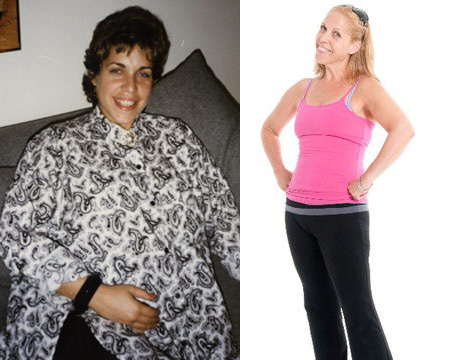 While I was losing weight, I would walk three miles to music I loved, and it helped me stay motivated. But there’s another aspect to weight loss that’s so important — you need to get in touch with you! Loving yourself and staying focused on who you are, who you were as a child and what you strive for is so important to changing your body and your life. This is what still motivates me to stay focused on my health. In addition to recording workout music, I’m currently working on a new fitness project in which I motivate a group of 25 people to get fit and lose weight. I feel so fortunate to be able to help others with the weight loss goals, but it’s more than that — I love having them help me stay motivated at the same time. 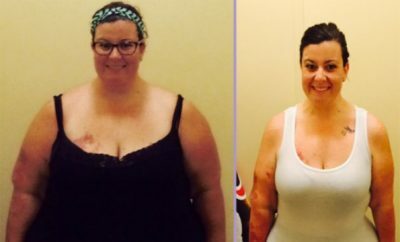 Losing weight and helping others is very rewarding. Marinahas maintained her weight loss for more than 12 years, and she continues to motivate people with her workout music. Find out more about her by visiting her website.